Wine is an experience made richer with good company. Our knowledgeable staff will lead you through a relaxed and informative tasting that will enrich your understanding of Niagara wines. 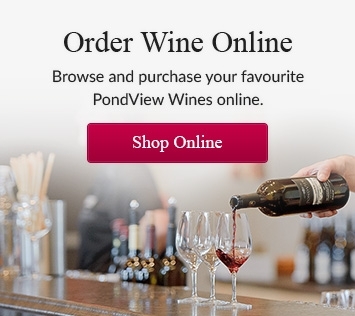 PondView is known for a Niagara wine discovery experience that’s yours to keep... and we enjoy your company. After your tasting, feel free to linger in our Wine Tasting Room, or enjoy another glass on our veranda. Enjoy unique wine samples during this informative, structured tasting. Sample three artisan cheeses, paired with three of our featured wines. Enjoy our famous cheese and charcuterie platter with your wine tasting. Looking for a room while visiting? We want you to enjoy your stay in Niagara Wine Country, so we have partnered with the Bed and Breakfast Association of Niagara-on-the-Lake, and you can make your reservation directly by clicking on the button below.